Also – dogs are often very nice animals. Well done dogs! Oh my… I used to call my Dog, Snowy ‘Google bear’. What.Is.This.Awesome. I like how Lulu’s owner looks sad that nobody said hi to him, only to Lulu. 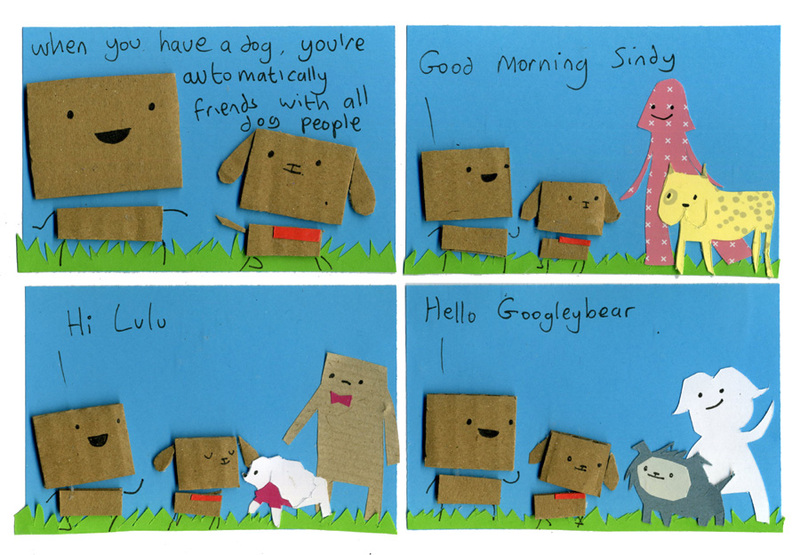 I wonder if Sindy and Googleybear are the dogs, or the people walking them. Maybe Colin was saying hello to him, and he’s just sad that his name’s Lulu. It took me a while to realize that Colin was saying “Hi” to the dogs. Awesome job, Philippa! I especially love how you constantly break the fourth wall.